From the multi-million selling FINAL FANTASY franchise comes a brand new trading card experience! This 2-player game has 186 cards to collect in the Opus I collection, the first set of FINAL FANTASY TRADING CARDS to be released to the Western market. 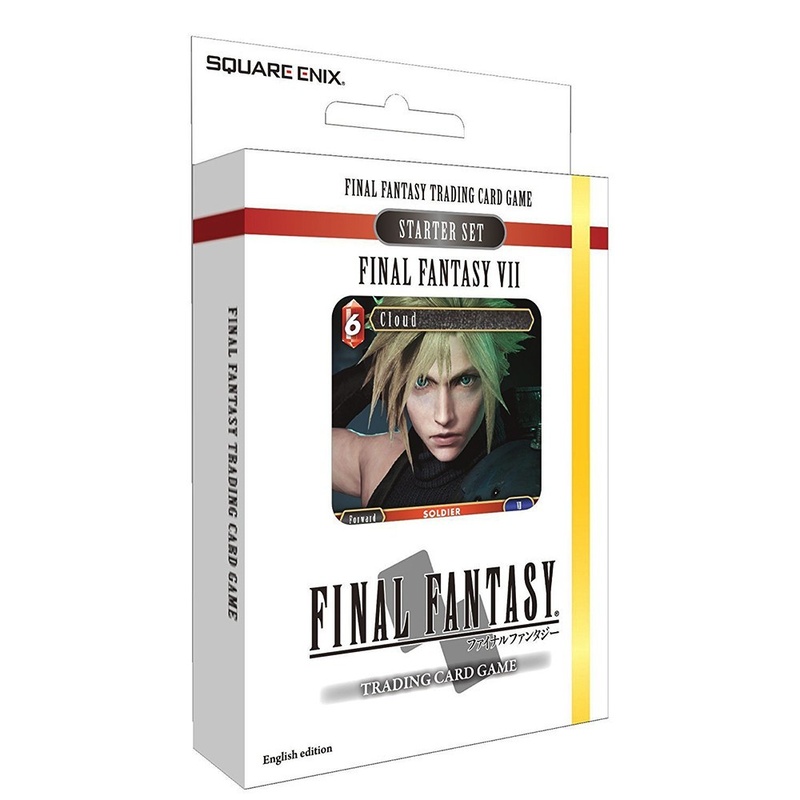 Strengthen your FINAL FANTASY TRADING CARD GAME deck with one of our BOOSTER PACKS! 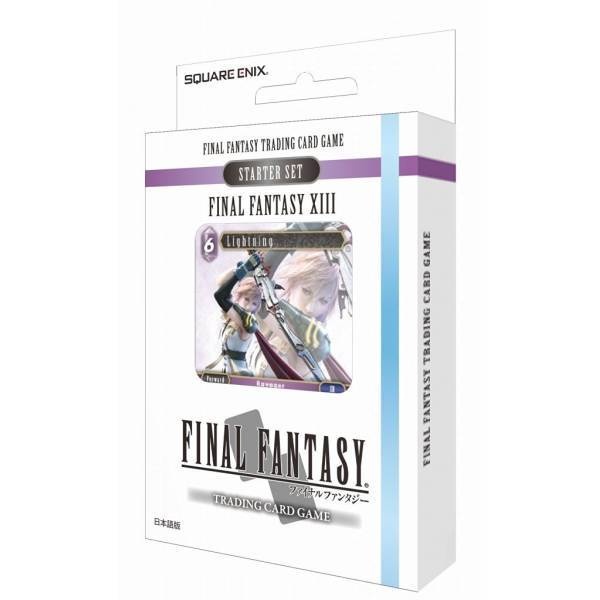 Booster packs include: • 12 cards total • 1 premium foiled cardOur booster packs bring you closer to completing your FINAL FANTASY TRADING CARD GAME: Opus I Collection and power up your deck 36 Packs per Box. 13 Cards per Pack. Final Fantasy VII Starter Set is one of three starter decks released during the debut of the Final Fantasy Trading Card GamE. It includes a deck of 50 cards, a rules sheet/quick starter guide, and a game mat. The deck has a heavy emphasis on the Fire and Earth Affiliations, with a Final Fantasy VII theme. 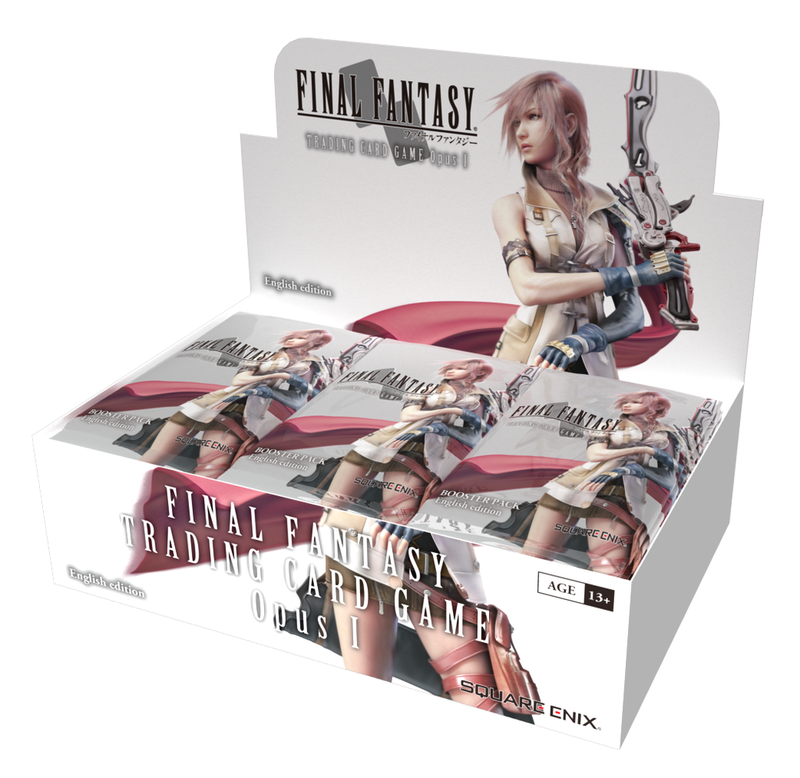 Final Fantasy XIII Starter Set is one of three starter decks released during the debut of the Final Fantasy Trading Card Game. It includes a deck of 50 cards, a rules sheet/quick starter guide, and a game mat. The deck has a heavy emphasis on the Ice and Thunder Affiliations, with a Final Fantasy XIII theme. 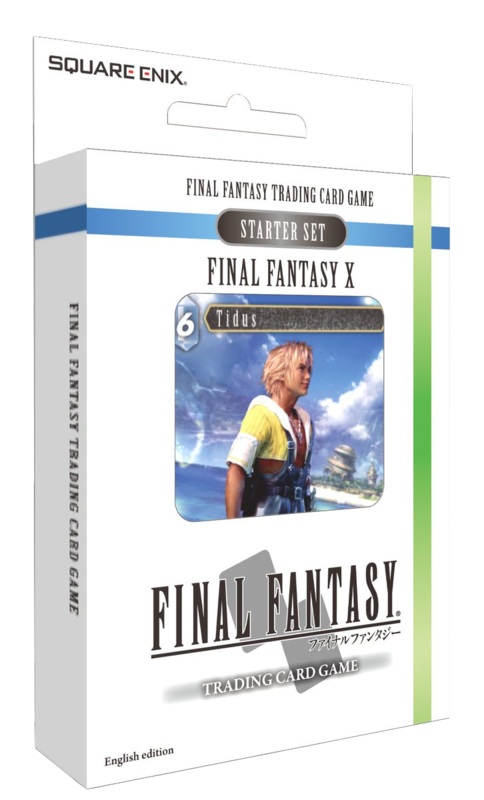 Final Fantasy X Starter Set is one of three starter decks released during the debut of the Final Fantasy Trading Card Game. It includes a deck of 50 cards, a rules sheet/starter guide, and a game mat. The deck has a heavy emphasis on the Water and Wind Affiliations, with a Final Fantasy X theme.